Schools are not more a place just to study but a reliable premise to groom children in efficient manners. In this effort of grooming, technology has positively contributed at various steps. 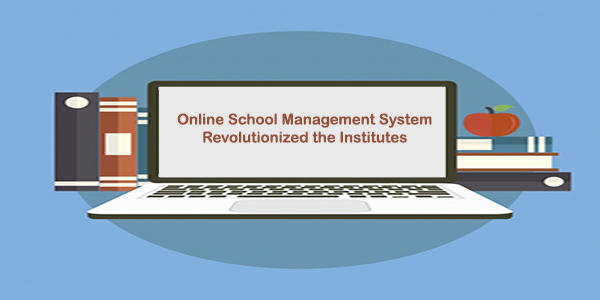 Here an online school management system has completely revolutionized the educational institutes for the achievement of fruitful efforts. It is undoubtedly an efficient, cost-effective and suitable solution to facilitate students, management and staff at the same time. It streamlines all administrative processes and develops an easy mode of communication. In the current age of school management, all tasks can be performed in smooth manners with real-time records. It is a complete package containing different modules. This module deals with student daily attendance. It keeps an attendance record and stores it in the database on daily basis. This record can be easily retrieved if required in future. This module is important to automate admission processes of an institute. It reduces the stress for the management of admission data but also remove the chances of mistakes. This module is specially designed to maintain student records starting from their admission to day-to-day activities. This module also deals with student grades and certification details. In an online school management system, this module is completely focused on all staff and student details. It manages staff salaries, student fees, and another important admiration process. Total School is one of the best examples of an online school management system. Its user-friendliness has improved user experience in a graphical form. It is undoubtedly an interactive and dynamic platform for the result oriented learning experience.